Twenty years ago, two new video game trade shows launched in Tokyo with the hopes of capturing the attention — and yen — of gamers in Japan. The first Tokyo Game Show (TGS) took place from Aug. 22 to 24, 1996, and was followed that November by E3 Tokyo, a Japanese offshoot of the U.S.-based Electronic Entertainment Expo. The first E3 Tokyo was also the last. Though the American original has gone on to become the world’s premier gaming convention, E3 Tokyo lost out to TGS in attendance. That left TGS to dominate the market, and this year it marks its 20th anniversary as it opens its doors to the public on Sept. 17 and 18. “Tokyo Game Show was meant to be a promotional event for consumers and the first year’s theme was, ‘Try games at the game show,’ ” says Tatsuo Tomiyama, managing director at the Computer Entertainment Supplier’s Association, which runs TGS. He adds that the event’s main goal was just to energize sales. Since then, however, TGS has developed considerable cultural credibility. John Ricciardi, a former editor for Electronic Gaming Monthly who currently works at 8-4, the Tokyo-based localization company he founded with Hiroko Minamoto, says he has been to nearly every TGS. The guest list at TGS this year isn’t going to look that much different to previous years: Nintendo won’t be joining and Microsoft will also be sitting out. That leaves Sony in a position to dominate the proceedings. PlayStation VR, the company’s foray into virtual reality, will have a large presence, buoyed by a lot of playable games, as its Oct. 13 release approaches. There could also be a surprise or two at the showcase. “I feel like people are generally most looking forward to the things that haven’t been confirmed to appear at the Tokyo Game Show,” says Salvatore Romano, the editor-in-chief of gaming site Gematsu. “People want Capcom to announce ‘Devil May Cry 5.’ They want Square Enix to show more of ‘Dragon Quest XI’ and ‘Final Fantasy VII Remake.’ They want Level-5 to lift the veil on ‘Ni no Kuni II.’ The prospect of new announcements, I think, is what most of our readers get really excited about. 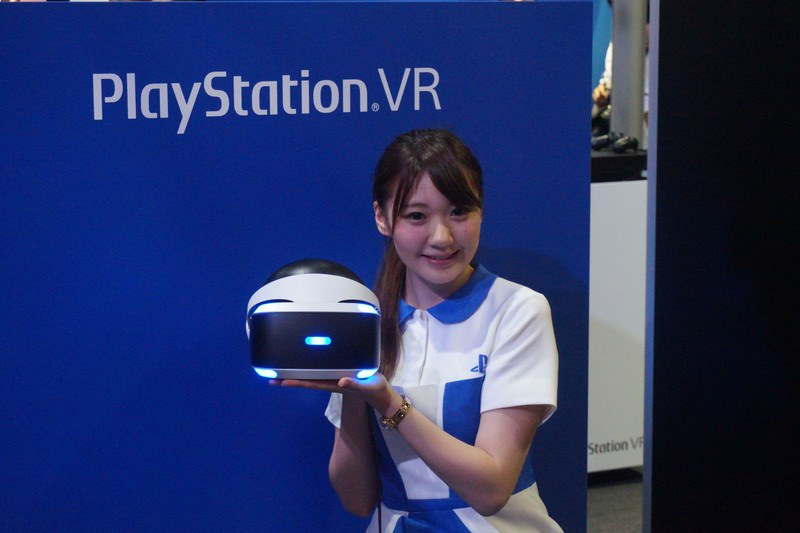 TGS will also introduce a dedicated VR space and feature areas for both indie and smartphone gaming, the latter due to a mobile-game boom in Japan. Considering the success of E3 and Gamescom, the existence of TGS has been a boon to Japanese game makers since it is seen as this country’s moment to shine. Many niche Japanese titles get the opportunity to be shown alongside major offerings, a situation that would likely not happen overseas. In 1996, Japan was at the forefront of gaming as the console war between Nintendo, Sega and Sony raged on. The first TGS was held at Tokyo Big Sight, a convention center on Tokyo Bay that had opened only months earlier, and was attended by 109,649 people. The show was held twice a year — in the spring and autumn — from 1997 to 2002. The current once-a-year format was adopted in 2003. The show moved to the Makuhari Messe convention center in Chiba (which hosted the ill-fated E3 Tokyo) in the fall of 1997 and has remained there since. The current E3 trade fair is held in Los Angeles in June but, despite being held months later, TGS still manages its share of major news-making moments. The show hit the jackpot in 2005, when then-Nintendo President, the late Satoru Iwata, revealed the quirky controller for the company’s next console (the Wii), and famed developer Hideo Kojima showed off “Metal Gear Solid 4: Guns of the Patriots” for the first time. The headlines have decreased over time, however, as Japan’s gaming industry has gradually been overtaken by America’s. “I think in terms of what people get from the show — at least people looking for the kind of things you get from E3 and other shows like that — I think it has gotten smaller,” Ricciardi says. 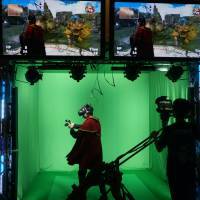 “It used to be TGS was almost as exciting as E3, because there would be huge announcements. I think as the West sort of grew and outgrew Japan — and became the showplace for stuff — a lot of Japanese companies will now just unveil their game for the first time at E3. It’s just a bigger stage, it’s like the world stage. Unlike E3, TGS is open to the public for two of its four days, creating a different — and more crowded — experience, as companies cater to fans walking the show floor. 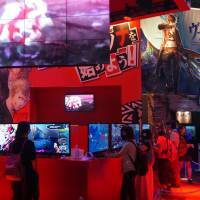 Each TGS since 2010 has surpassed the 200,000-attendance mark. 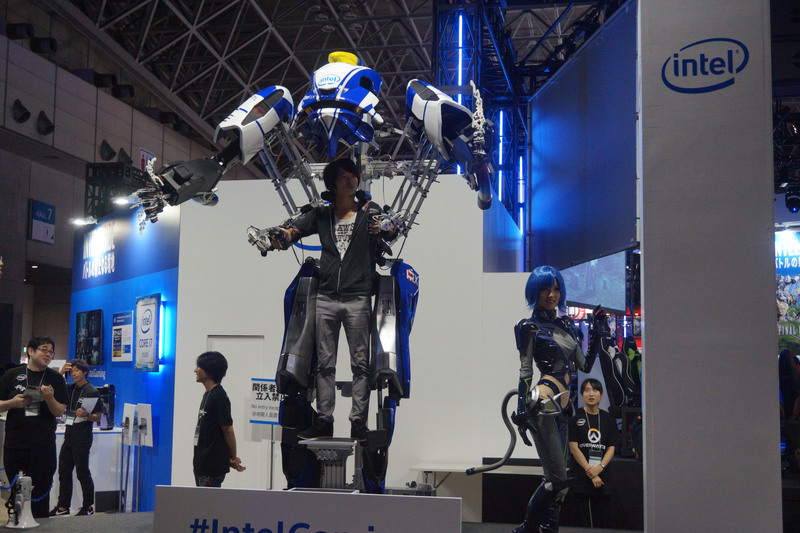 TGS 2013 was the most well-attended at 270,197. The crowds are also becoming more varied than in past years. “I see a lot more female interaction, because quite honestly, the demographics are changing. A lot of girls play games,” says a tournament organizer for Final Round, a competitive Fighting Game Tournament, who goes by the name Scott Popular. Cosplay at TGS is another area that has become more predominant over the years, but Popular thinks there’s still room for improvement when it comes to its inclusion. That said, Popular still praises how the event is organized, having attended TGS more than five times. 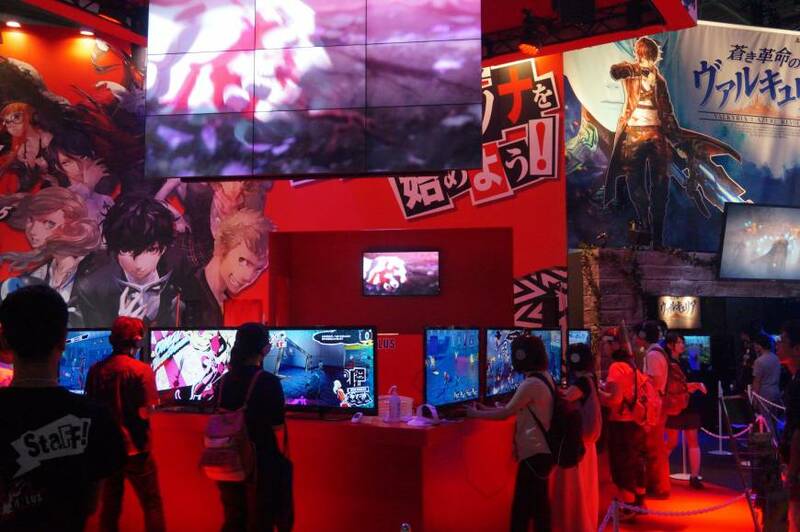 In the end, what makes TGS special is that it is a Japanese event that caters to Japanese sensibilities. This appeal to local fans in turn is what attracts non-Japanese fans as well. Asked about what the future holds for TGS, Tomiyama says it will continue to focus on the value of new forms of entertainment. 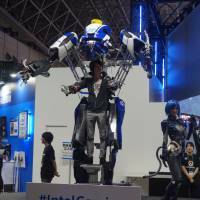 Tokyo Game Show 2016 takes place at the Makuhari Messe convention center in Chiba. It is open to the public on Sept. 17 and 18 from 10 a.m. to 5 p.m. Tickets cost ¥1,000 in advance and ¥1,200 at the door. For more information, visit expo.nikkeibp.co.jp/tgs/2016/index.html. Virtual Reality is the star at this year’s Tokyo Game Show and there are a ton of VR titles to test drive. Anyone wanting to try Sony’s upcoming PlayStation VR, set for release on Oct. 13, won’t be disappointed. 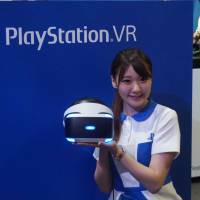 Sony’s new hardware has a large presence, both in its own booth and in the new area TGS organizers have dedicated to VR gaming. 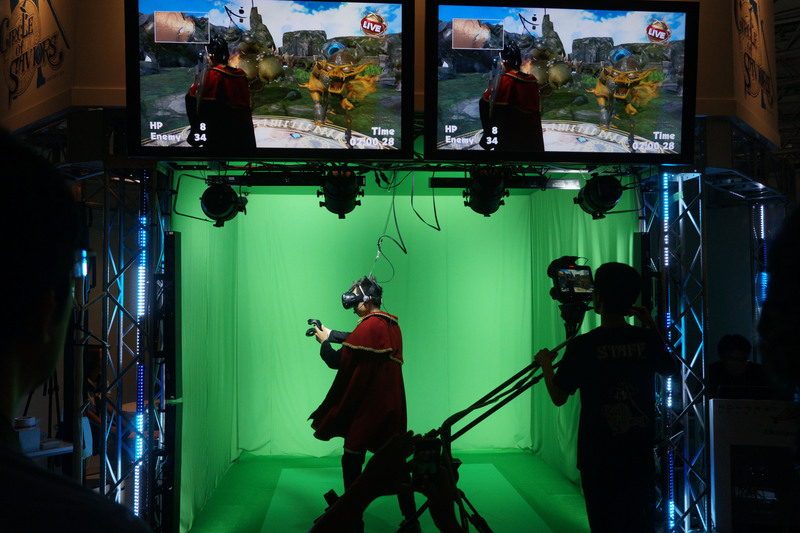 The new VR area is filled with things to do — from games that simulate horse races, to a title, played in front of a green screen, that pits the player against monsters. Just make sure to arrive early, there will probably be a long line of people looking to try out the VR products.